Holiday apartments are quickly becoming the preferred accommodation for many travelers in Australia. While hotels are usually the go-to choice, there are many more benefits to renting an apartment, that have tourists making them their preferred place to stay. So, what do apartments offer that makes them a better choice over a hotel room? Hotels typically limit the number of people who can stay in one room. If you have more than the allowed number, you will be required to book a second room. That means paying double for the same stay. It may look like it costs less until you add up the actual total for a large family or group. Apartments offer visitors just as much privacy and safety as a hotel, and in some cases, more. There are on-site managers and reception areas that help monitor who comes and goes. Most also include videophone features and discreet entryways so you can see and hear someone before letting them in. Apartments are very flexible when it comes to the length of your stay. You can book for a few days, just like you would with a hotel. Unlike some hotels, you can also book a stay that’s many weeks or months long. That way, you can enjoy a cosy home away from home that will be available for the entire duration of your stay. Travellers who stay in holiday apartments often enjoy a better overall experience thanks to personalised service. This is especially important for longer stays, where you will rely on the staff for weeks or more at a time. Holiday apartments give you the opportunity to live comfortably in your own place while staying close to the friends and family you are visiting. The Cove Yamba, for example, offers apartments that are conveniently located close to just about everything in the area. You won’t have to go far to meet up with friends, family, or to visit attractions. Apartments typically give you more living space to enjoy than a standard hotel room, and offer many amenities that hotels don’t, like kitchen and laundry facilities. Apartments feel more like a home, which allows you to adapt easily and quickly. Looking for an Apartment Rental in Yamba? Convinced that an apartment in Yamba is better than a hotel? 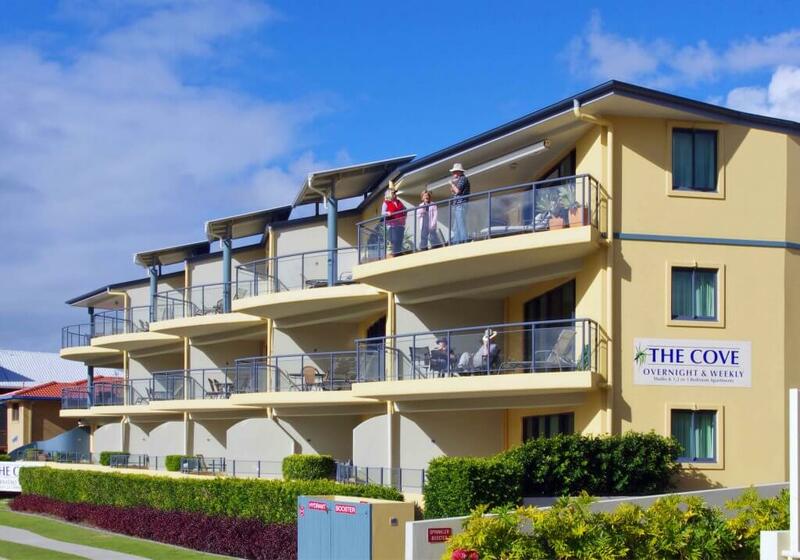 Contact The Cove Yamba today to discuss apartment availability and rates for your next visit.